I have some exciting news to share with you all today. Hopefully you remember me mentioning it was Paper Pumpkin's birthday! 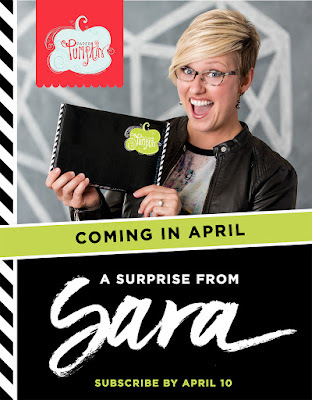 Well, Sara Douglass, Stampin' Up! 's CEO has designed the April 2017 kit!! If that isn't surprise enough, she has also added a FREE gift in every box!!!!!! You can see the box is bold and vibrant. If you order $50, you will earn a FREE Sale-A-Bration Item + FREE Card Kit! You can then choose the 6 x 6 Glimmer Paper Assortment Pack - 143831. 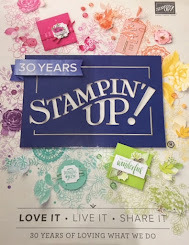 During Sale-A-Bration you get to choose 2 additional FREE stamp sets of your choice (up to a $104 value) in your $99 starter kit before March 31st!!! You choose the products in your starter kit from either the annual or occasions catalog. Wahoo!!! Join as a hobbyist for your personal discount or start your own business!